Around the world oil prices are on the rise, except in Alberta where a barrel is worth less than half what it would fetch in the United States. Around the world oil prices are on the rise, except in Alberta where a barrel is worth less than half of what it would fetch in the United States. Global prices are climbing as some key, oil-producing countries are in trouble — whether it's Iran facing new sanctions or Venezuela creeping closer to an economic implosion. Even in the United States, oil production growth is showing signs of a slow down. That's why prices are spiking just about everywhere. The Brent oil price, considered the global benchmark, has surged above $85 US per barrel. In the U.S., West Texas Intermediate cruised past $75 US. But in Alberta, Western Canada Select is stuck at $35 US per barrel. The divide between WCS and WTI has never been larger, according to Martin King, commodities analyst with Calgary's GMP FirstEnergy. The steep discount in Canadian oil prices compared to American prices could cost Alberta oil producers billions this year in foregone revenues. The main problem is a backlog of oil in Alberta. Here are the three reasons why that's happened. As the summer driving season began to wind down, some U.S.-based refineries shutdown for maintenance. That was an unpleasant surprise for Canadian oil companies in August and September because those refineries process heavy oil from Alberta. One of the refineries still shutdown is BP Plc's Whiting operation in Indiana, which is the single largest consumer of Canadian heavy crude in the U.S. The outages are a short-term problem, but nonetheless are causing a significant drop in demand for Alberta's oil. 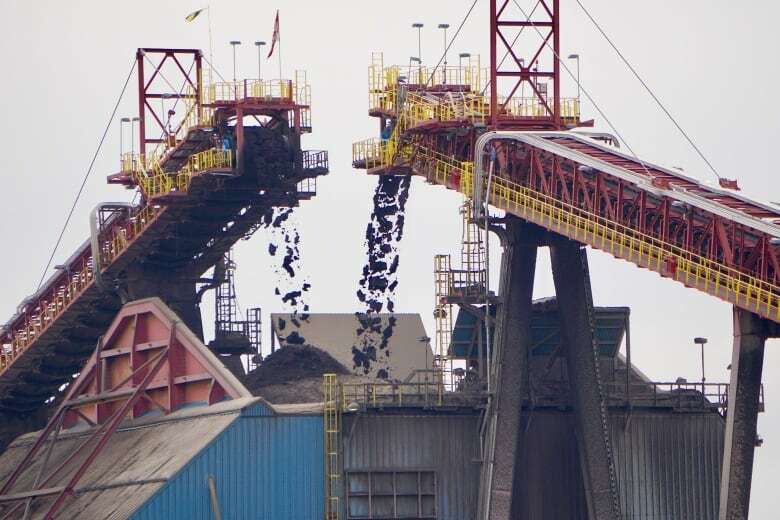 Oilsands production continues to climb as projects like Suncor's Fort Hills facility ramp up to full activity. The problem is all that supply is "bumping into a dearth of pipeline capacity available to take it to market," according to Judith Dwarkin, chief economist with the RS Energy Group. Export pipelines out of Alberta continue to run near full capacity, and some companies are struggling to export their oil. Recent delays to construction of the Trans Mountain expansion project "is not the end of the world," according to King, since Enbridge's Line 3 replacement project should be up and running at the end of next year. After pipelines, the second choice is shipping by rail, which has grown substantially in recent months, reaching record highs. As more and more companies sign deals with railways, volumes are anticipated to rise further. Experts say that should help alleviate the backlog of oil and narrow the gap between Canadian and American oil prices. "The economics say you can do it and still make lots of money given where the spreads are right now," said King. A much less talked about factor that's weighing on oil prices in Alberta is a new fuel standard for the marine shipping industry. The International Maritime Organization will have a sulphur limit rule in place for 2020, which is known as IMO 2020. The policy generally will target heavy sour crudes like those produced in Alberta in favour of low-sulphur sweet oil. Some shipping companies have said they will install scrubbers in the exhaust stacks of their vessels instead of purchasing lower sulphur fuels. Some experts also say refineries in North America are sophisticated enough to reduce the sulphur content when they process Canadian heavy oil. Regardless, the sulphur restrictions are still weighing on future prices of heavy oils around the world because the potential impact is unknown. Add up these three issues and there's no quick fix for the oilpatch. The backlog of oil is expected to take several months to clear once U.S. refineries finish their maintenance work and begin processing again. The export issue should improve in about 12 months after more pipeline capacity is added and crude-by-rail shipments climb. The new sulphur rules, however, are a new potential problem for an industry that doesn't need one.